A woman who narrowly escaped jail after making more than 50 hoax bomb calls has been back to court accused of breaching her ASBO. Last month, 44-year-old Joanne Mitchell was ordered to spend two years on probation and made the subject of an ASBO which prohibited the Antrim woman from having any device which could access the internet. Antrim Magistrates Court heard however that just a day shy of two weeks later, Mitchell allegedly had an IPad, a Sky router, a mobile phone and an X box at her home on Greenview Avenue which puts her in breach of the ASBO. With Mitchell appearing via video link from Hydebank women’s prison, District Judge Oonagh Mullan remanded her back into custody to appear again on 21 March. 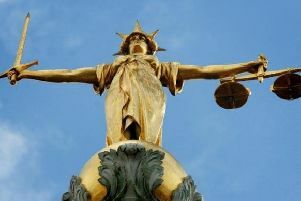 In her Crown Court case dealt with last month, Mitchell had pleaded guilty to two counts of causing bomb hoaxes by communicating information she knew to be false to Crimestoppers which caused a “false belief that a bomb or other thing liable to explode or ignite” on 17 February and 25 September last year.